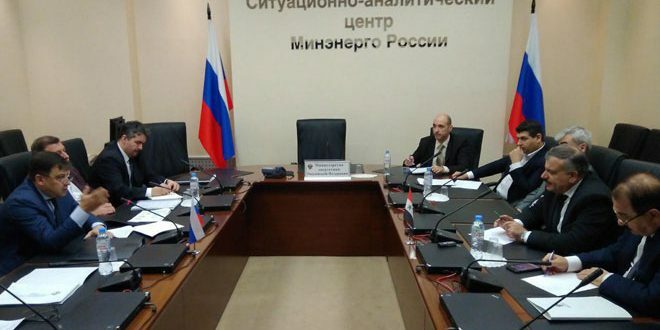 Moscow, SANA- Electricity Minister, Mohammad Zuheir Kharboutli discussed on Tuesday with Russian Deputy Energy Minister, Kirill Molodtsov means of implementing agreements signed between Syria and Russia in electricity power field. 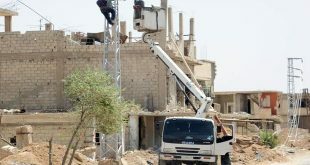 “As being partners in the fight against terrorism;Syria and Russiawould be partners in reconstruction of Syria. 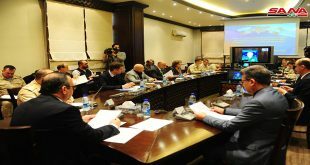 We have set priorities and scenarios to implement the agreements reached previously in Damascus and Sochi and activate the work of Russian-Syrian joint committee aimed at rehabilitating and re-operating power plants in the country,” Kharboutli said during the meeting. 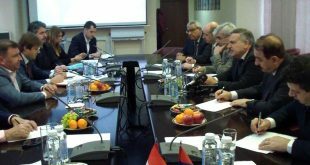 For his part, Molodtsov said that the Syrian delegation’s visit is an important step towards cooperation between the two countries and a momentum to solve all pending issues in front of the Syrian Ministry of Electricity and the Russian Ministry of Energy.